Private Ernest Riley was born at Ironville in about 1891, son of James Riley, an iron puddler and Mary Riley. In 1891 and 1901 the family was living in Tank Street, Ironville but the family later moved to Franklin Road, Jacksdale. 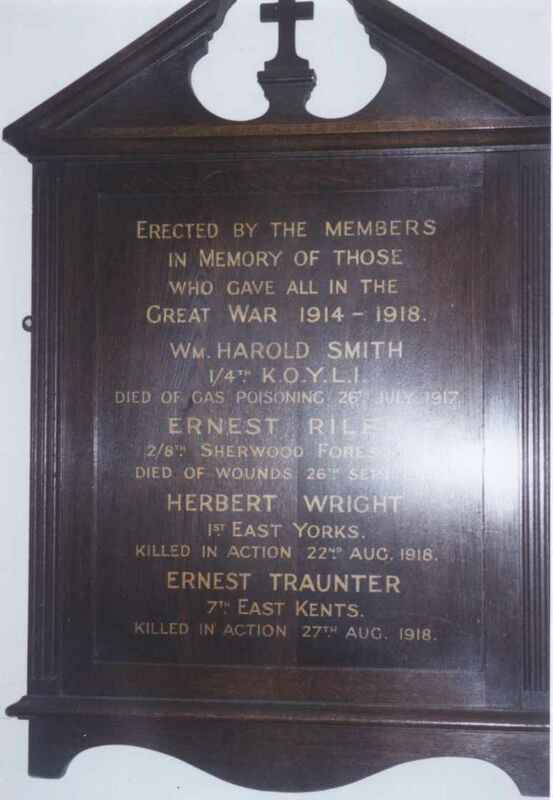 Ernest had brothers named Frank and Fred. 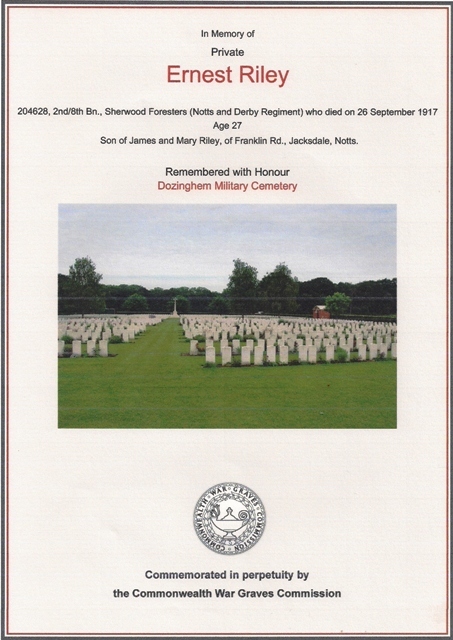 He enlisted at Derby Barracks. 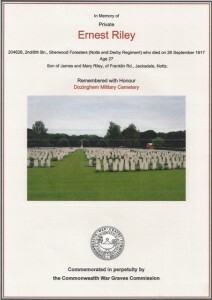 Private Riley is buried at Dozinghem Military Cemetery, Poperinge, Belgium. He is commemorated on both the Ironville & Jacksdale War Memorials.